Introducing Bass Box – COMING SOON! A bass player’s dream pedal featuring incredibly accurate and musical bass preamps, amps, speaker cabinets and effects along with technology cherry picked from Studio Devil’s award-winning Virtual Bass Amp (VBA) plugin! 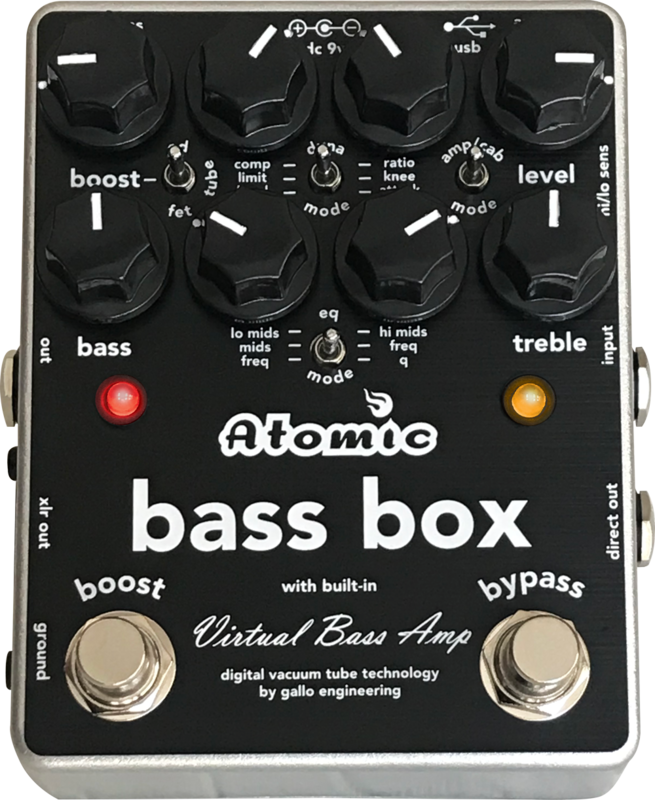 Bass Box includes a gain section with 3 modes, an EQ section with 3 modes, a dynamics controller with 3 modes, and an amp modeler with 3 slots to choose from, each with choice of amp model (including our AmpliFire SVT model) and cabinet impulse modeling (IRs). A HUGE palette of tone and dynamics sculpting options in one pedal!!! Coming in Spring 2019. Get on our notification list here for updates and availability. Please complete the form below to lock your place in line!